For process servers, finding a person is half the work of getting them served. When you add a high-security location into the mix, the job can get even more difficult. For the most part, it is not inherently against the law to serve an individual in the hospital; however, state regulations vary with regard to how you attempt service, and you must be aware that there could be several challenges that may preclude you from getting the job done. Be sure to read up on your state’s specific laws regarding service on an individual at a hospital. For example, in Michigan, service must be first attempted by the person in charge of that institution or someone designated by that person in charge. 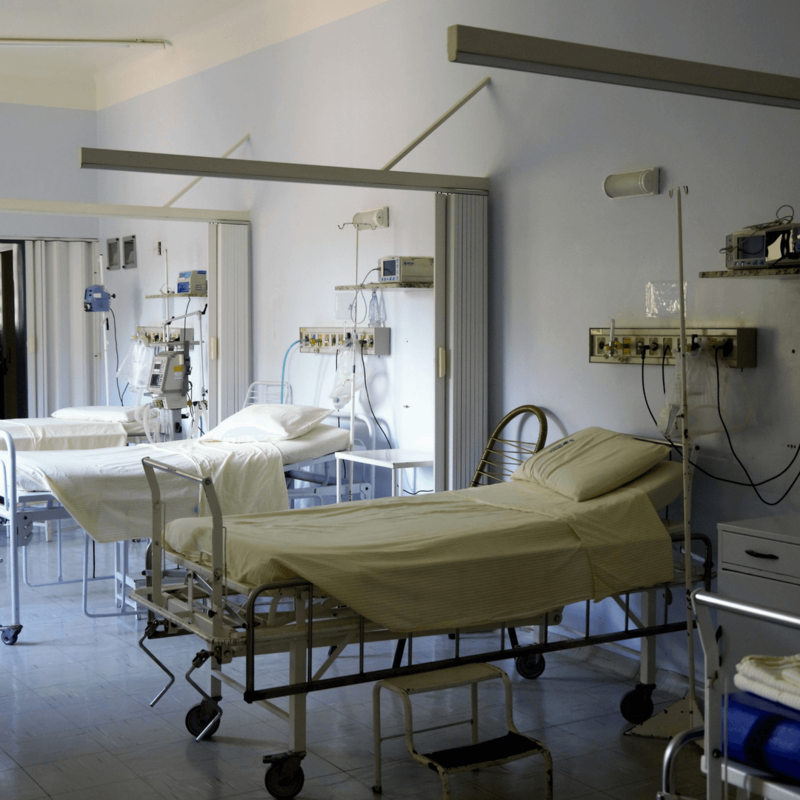 Your state may not have specific laws regarding service of process at a hospital. In that case, you would treat the service just as you would handle service at any other place of business. However, it is better to be informed than to wind up violating the state statutes and having your service thrown out. Individuals to receive service who are disabled or incapacitated, whether they reside permanently in the hospital or are there temporarily for treatment, may still be able to accept service of process; however, you may need to also serve his or her guardian, conservator, or power of attorney in addition to that individual. In some cases, you would be serving the guardian instead of that individual. For example, in Missouri, you would need to serve the conservator in the case of serving process on an infant, disabled, or incapacitated person. If your client isn’t sure which person to serve, and since this is a unique situation, you may find that there are laws specific to your state. Always refer to state statutes before proceeding. If you have found that you need to serve a medical professional at their place of work, you may first need to confirm who actually needs to be served. If the lawsuit is for the hospital itself or its administration, you will need to serve process on a registered agent, similar to how you would serve any other corporation. The Secretary of State typically has this information available for process servers. While some states have this information available online, like California, which has a list of the registered agents for hospitals (as well as other corporations) accessible on their website, other states may not be as technically advanced. In those cases, you would either need to call or visit the Secretary of State’s office to obtain the contact information for the registered agent. Furthermore, if you need to serve a doctor or a nurse, and he or she also works in an office setting, it may be easier to serve him or her in that setting rather than at the hospital. It is also worth mentioning that hospitals are large places with a lot of restricted areas for medical personnel only. If you aren’t sure of whether or not the person you need to serve is in the hospital, you will need to call and find out. HIPAA does not outright prohibit you from calling and asking about an individual if you know them by name. Years ago, hospitals used to restrict visitation to immediate family only. This policy has, for the most part, changed at most hospitals across the country. Hospitals are allowed to release the name of a patient (as long as you have asked for the patient or information about the patient using his or her name), a statement of condition (e.g. stable, critical, etc. ), and their location within the hospital (unless it includes information protected by HIPAA). If a person has been admitted for substance abuse or psychiatric care, it may be more difficult or impossible to obtain information about them because disclosing where they are located in the hospital would release protected information about their care. In some cases, a patient may direct the hospital not to release any information about them, which would mean that process servers could not find out if the person to be served is at the hospital or where within the hospital they have been admitted. If you already know a person is a patient at the hospital and have been able to find out their room number, you may be able to visit them to effectuate service. Depending on the patient’s condition, however, visitors may not be allowed. The hospital has the right to favor the patient’s care over visitation rights. Process servers do not hold any special privileges to get beyond limited access areas, so it may be incredibly difficult to serve patients, as well as hospital staff, depending on where they are located. Breaching restricted areas could pose a health and safety risk to patients at the hospital or to yourself, and you could find yourself in trouble with hospital security for trespassing. Overall, it is important to respect patient privacy rights as well as the regulations instituted by the hospital and HIPAA. Civil process service can be effectuated in a hospital setting; the process server just has to be properly informed and aware of regulations in place. Ultimately, there is no federal statute prohibiting service in hospitals, so again, check how service must be accomplished at the state level.